With a bevy of bonus Qantas Points now on the table across a range of Australian credit cards, it's now possible to earn as many as 150,000 bonus Qantas Points from a single credit card application: enough for a return business class trip to places like Tokyo, Shanghai or Beijing. That's in addition to the points earned on everyday purchases, so without further delay, here's what's topping the charts for April 2019, across a range of top credit card sign-up deals from American Express, ANZ, Bank of Melbourne, BankSA, Citibank, NAB, Qantas Money, St.George and Westpac. 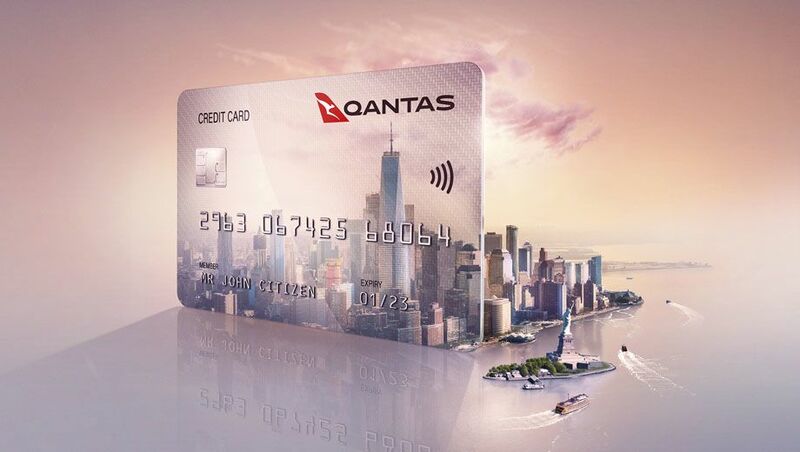 Retaining first place this April with an offer of 150,000 bonus Qantas Points, the new Qantas Premier Titanium Mastercard from Qantas Money – apply by April 30 2019 and spend $5,000 on purchases within 90 days from card approval. There's a hefty $1,200 annual fee to pay and a minimum income requirement of $200,000, but in return, cardholders can collect 1.25 Qantas Points per $1 spent in Australia up to $12,500 per month – reverting to 0.5/$1 thereafter – plus an extra two Qantas Points per $1 spent awarded on eligible Qantas spend, such as flight bookings and lounge membership. Overseas, the earn rate is 2/$1 without points tiering, albeit with a 3% international transaction fee to pay, with the card offering two yearly Qantas First Lounge invitations, 20% bonus status credits for cardholders on Qantas flights booked using the card, discounts on eligible Qantas flight bookings, and more. Next, with an offer of up to 120,000 bonus Qantas Points, the American Express Westpac Altitude Black Bundle – comprised of a Westpac Altitude Black Mastercard with an American Express Westpac Altitude Black Card. Those bonus points are offered in two parts: one being 80,000 bonus Qantas Points when you apply for the Black bundle by June 2 2019 and spend $3,000 on eligible purchases within 90 days of card approval using the Altitude Black Mastercard (issued and serviced by Westpac). In third place with offers of 90,000-100,000 bonus Qantas Points, the ANZ Frequent Flyer Black Visa, the Qantas Premier Platinum Mastercard, the Qantas AMEX Ultimate Card, and NAB's Qantas Signature Visa. ANZ's offer tempts with 100,000 bonus Qantas Points and $200 back to your new card, when you apply and spend $4,000 on eligible purchases in the first three months from approval. You can also earn one Qantas Point per $1 spent on everyday purchases up to and including $7,500 per month – 0.5/$1 thereafter – and although there's a total annual fee of $425, that's reduced in 'cost' in the first year to $225, owing to that $200 statement credit (given after spending $4,000 on eligible purchases in the first three months from approval). Over at Qantas Money, eligible new Qantas Premier Platinum cardholders could first earn 70,000 bonus Qantas Points when applying by April 30 2019 and spending $3,500 within 90 days of card approval, plus, a reduced annual fee of $149 in the first year. Completing the offer, a further 30,000 bonus Qantas Points will be awarded in the second year, within 12 weeks of paying the card's full annual fee ($249) on the anniversary of card approval, so from the time of first approval until you see your full bonus bounty, there'd be a waiting time of up to 15 months. With American Express, the offer is more straightforward on the Qantas AMEX Ultimate Card: apply by April 14 2019 as a new AMEX card member, pay a $450 annual fee, and spend $3,000 on purchases within the first three months to earn 100,000 bonus Qantas Points. 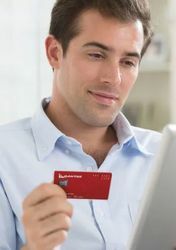 The card also provides a $450 Qantas Travel Credit each year – a voucher that can be used towards a Qantas flight booking via the AMEX website – which offsets the cost of the annual fee for those who'd use it, along with AMEX and Qantas lounge passes, and more. Finally, the NAB Qantas Rewards Signature Card is offering 90,000 bonus Qantas Points when you apply and spend $4,000 on eligible purchases within 60 days of account opening. The card's usual $395 annual fee is also reduced to $295 in the first year, with an earn rate of one Qantas Point per $1 spent up to $5,000 per month, and 0.5 Qantas Points per $1 on monthly spends of $5,001-$20,000, with no points awarded thereafter, or on ATO payments at any time. Next in line with offers of up to 70,000-80,000 Qantas Points, the St.George Amplify Signature Visa with Qantas Points (80,000 points), the standalone Westpac's Altitude Black Mastercard (up to 80,000 points), the AMEX Platinum Charge Card (80,000 points), the American Express Westpac Altitude Platinum Bundle (up to 75,000 points), and the Citi Prestige Qantas Credit card (70,000 points) – here's what you need to know about each deal. St.George: apply online for the Amplify Signature with Qantas Points card by May 22 2019, pay a reduced annual fee of $179 in the first year (normally $279) and spend $4,000 on purchases within 90 days of card approval to earn 80,000 bonus Qantas Points. You'll also earn 0.75 Qantas Points per $1 spent on everyday purchases – plus a 10% 'birthday bonus' awarded in the month of your special day, taking that to 0.825 Qantas Points per $1 spent – with the same bonus points offer also available on the near-identical Bank of Melbourne Amplify Signature Visa with Qantas Points and the BankSA Amplify Signature Visa with Qantas Points credit cards when applying online. Westpac Altitude Black Mastercard: Separate to the Black bundle offer above, Westpac's Altitude Black Mastercard is also available as a standalone product (without the AMEX), and right now, comes with up to 80,000 bonus Qantas Points for eligible new customers who apply by June 2 2019 and spend $3,000 on purchases within 90 days of card approval, while paying a $250 annual card fee plus the bank's $50/year Qantas Rewards fee to earn Qantas Points. American Express: Apply for the AMEX Platinum Charge Card, pay a $1,450 annual fee and spend $3,000 on purchases within the first three months to earn 80,000 bonus Membership Rewards Ascent Premium points, and until April 14 2019, between 0.5 and 3 points per $1 spent on the card depending on each transaction, which can currently be converted into Qantas Points at a 1:1 rate. From April 15 2019, the Platinum Charge Card's earning rate changes to be the equivalent of 1.125 Qantas Points per $1 spent on all purchases, except for government charges which continue to receive 0.5 Qantas Points per $1 spent, with the conversion rate from Membership Rewards also being amended from 1:1 to 2:1, which cuts the value of any points you've already earned in half: as such, if you earn those bonus points very quickly, their value would be maximised by converting them straight to Qantas. AMEX Westpac Altitude Platinum Bundle: Mirroring the Altitude Black Bundle by splitting your bonus points into two distinct servings, new customers could first earn 60,000 bonus Qantas Points when applying for the American Express Westpac Altitude Platinum Bundle by June 2 2019 and spending $3,000 on eligible purchases within 90 days of card approval using the Altitude Platinum Mastercard (issued and serviced by Westpac). In addition, you could earn 15,000 bonus Qantas Points after spending $3,000 on eligible purchases within 90 days of card approval using the using the American Express Westpac Altitude Platinum Card (issued and serviced by American Express), for a grand total of up to 75,000 bonus Qantas Points, as one card application (lodged by June 2 2019) can cover both the American Express card and the Mastercard. Citibank: Apply for the Citi Prestige Qantas Credit Card by June 30 2019, and you could pocket 70,000 bonus Qantas Points after your first card spend within 90 days from card approval. You'll pay a total annual fee of $749, and can earn 0.5-1.5 Qantas Points per $1 spent on purchases, with the earning rate varying based on where you transact, although government and government-related payments don't earn any points. Rounding out this month's top deals with offers of 50,000-60,000 bonus Qantas Points, the Westpac Altitude Platinum Mastercard (60,000 points), the St.George Amplify Platinum Visa with Qantas Points card (50,000 points), the ANZ Frequent Flyer Platinum Visa (50,000 points), and the Citi Signature Qantas Credit Card (50,000 points) – here's a rundown of the offers. Westpac Altitude Platinum Mastercard: Apply by June 2 2019 and spend $3,000 on eligible purchases within 90 days of card approval to earn 60,000 bonus Qantas points. With no annual card fee to pay in the first year – a $150 saving – you'd only need to pay the bank's $50 Qantas Rewards fee in year one, and can earn 0.5 Qantas Points per $1 spent on eligible purchases. From the second year, the usual $150 annual fee applies, as does the yearly $50 Qantas Rewards fee, bringing the total ongoing cost to $200/year. St.George: apply online for the Amplify Platinum with Qantas Points card by May 22 2019, pay a $99 annual card fee, and spend $2,000 on purchases within 90 days of card approval to earn 50,000 bonus Qantas Points. You'll also earn 0.5 Qantas Points per $1 spent on everyday purchases. This same bonus points offer is also available on the near-identical Bank of Melbourne Amplify Platinum Visa with Qantas Points and the BankSA Amplify Platinum Visa with Qantas Points credit cards when applying online. ANZ: Apply for a new Frequent Flyer Platinum Visa and you could take home 50,000 bonus Qantas Points and $100 back to your new card when you spend $2,000 on eligible purchases in the first three months from approval. You can also earn 0.75 Qantas Points per $1 spent on eligible purchases up to and including $3,000 per monthly statement period, reverting to 0.5 Qantas Points per $1 spent thereafter, with a total annual fee of $295. Citibank: Take out a new Citi Signature Qantas Credit Card by June 30 2019 and you could earn 50,000 bonus Qantas Points when you spend $2,000 on purchases within 90 days from card approval. There's also a reduced annual fee of $248 in the first year (normally $444, including the standard annual fee and a separate yearly fee when earning Qantas Points), and you can earn between 0.5 and 1 Qantas Point per $1 spent on purchases, depending on where you transact – but as with other Citibank cards, that excludes government and government-related charges, which earn no points.